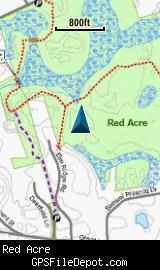 Red Acre is a parcel of conservation land in Stow MA that was purchased by the Stow Conservation Trust in 2002. 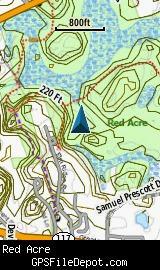 Although some hiking across or along roads is required, a continuous hike can easily be made from the Gardner Hill conservation area, through Red Acre, into the Capt. Sargent Farm Conservation Area.